With the upcoming introduction of the devoid mechanic in Battle For Zendikar, we’ve had a lot of questions about what this will mean for the deck construction rules. Since devoid cards have the colorless color identity, they can only be played if your general also has the colorless identity. It’s as simple as that. 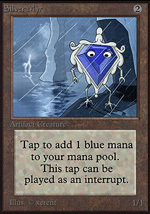 Note that the restriction on mana symbols still applies.